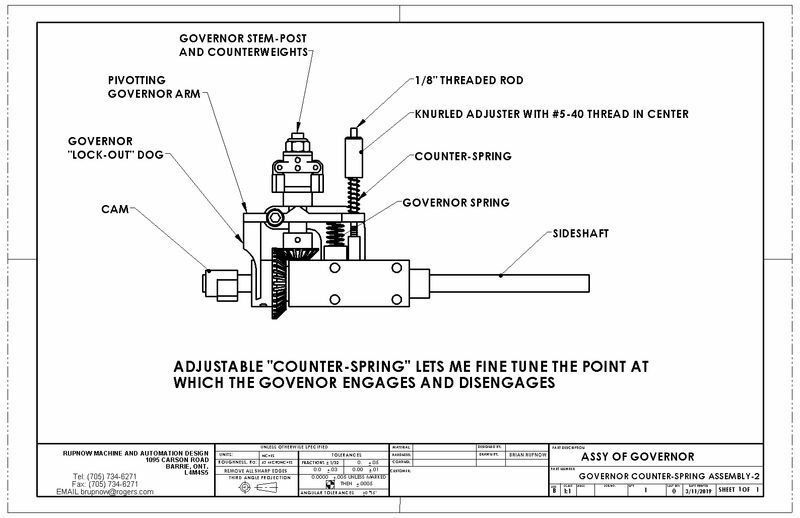 And just for interests sake--This is how I intend to add a "counter-spring" and adjuster to fine tune the point at which the governor kicks in and out. The counter-spring for the governor has been built and installed. It works. You can definitely change the rpm at which the governor engages. It is a very delicate adjustment. Now I need to address the carburetor one more time, because it is running on a borrowed carburetor. This engine does not have a great "coast" mode. 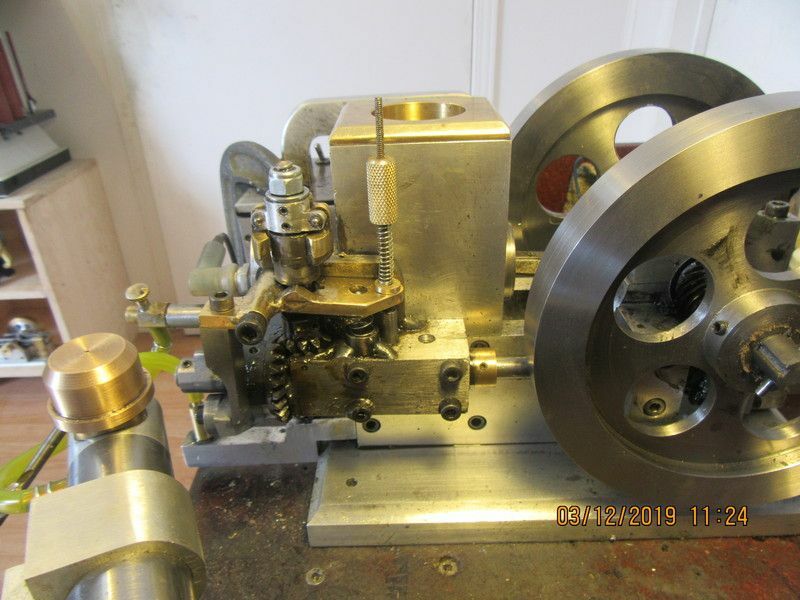 I'm not sure if it's simply a matter of flywheel diameter and engine bore, or if there is just too much inherent friction from the helical gears running the sideshaft and the bevel gears which operate the governor weights. This is basically the same engine as was built by Craig Deshong, based on a 1905 Myers hit and miss engine. His model has 8 1/2" dia. flywheels and I "think" a 1.25" bore cylinder. His engine runs marvelously, and has a much longer "coast cycle" than this one does. 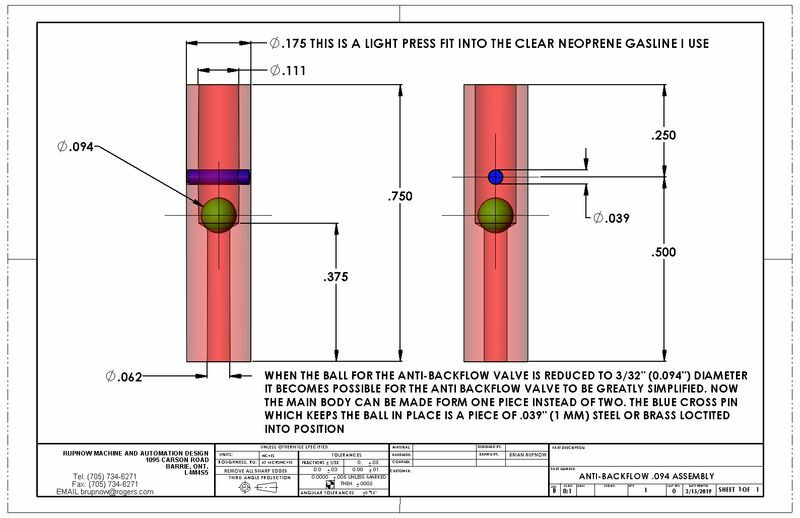 Going to a 0.094" (3/32") diameter steel ball lets me make a much more simplified anti-backflow valve. 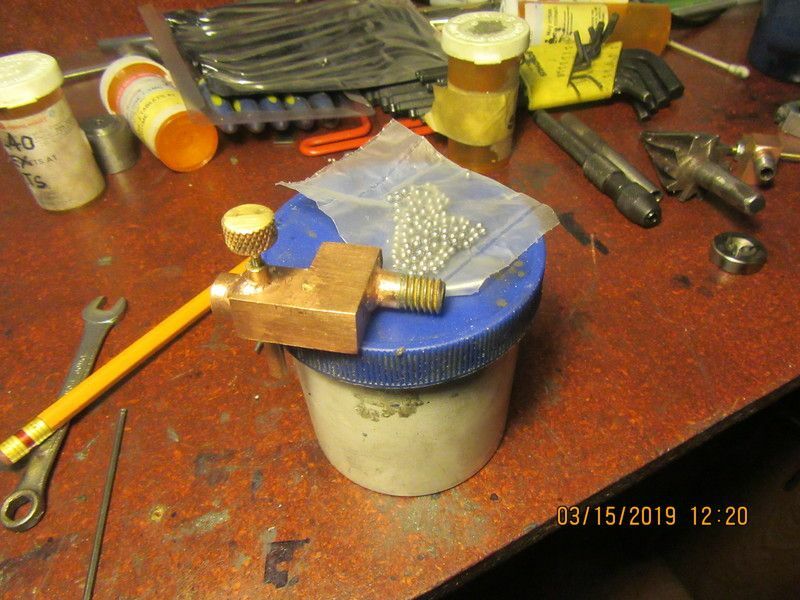 Finally--With the 3/32" steel ball in the anti backflow valve and the new carburetor with the 0.156" throat diameter, we are running off the main gas tank in the base and getting sustained runs. 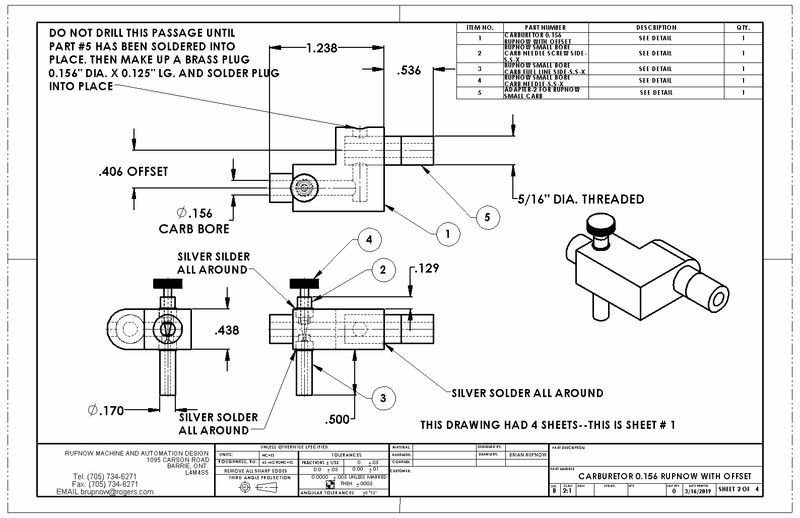 I am going to post drawings details of the new carburetor, take a final video, and then this thing is done like dinner. Glad things worked out well on this engine - guess it shows how narrow the good performance band is in the vast forest of different combinations of design elements. Looking forward to the video! Sounds great, obvious hit & miss cycles. Happy dance time! Unfortunately samsung doesn't have dancing elephants.